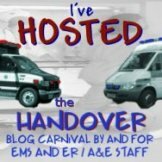 I got into bloging after reading a fairly large selection of other medical blogs over the last year. You can see my favourites on my blog roll to the right. Whenever I hear about a horrible job, I always automatically think of the crew members involved and inevitably think about how I would handle the same job and how tough it must have been. Reading Marks blog reminds me that it can be tough for the call takers and the dispatchers too. I can imagine how hard it is to take a call from someone who is trying to tell you, very quickly, about something truly horrible that is happening to a loved one. The adrenaline must flow, the same thoughts must go through their heads as what goes through ours when we see the message on our computer screen in the cab, but they then have to ask a multitude of questions whilst trying to provide help and advice to someone who isn’t actually hearing a word they are saying because they are transfixed by the sight in front of their eyes. and the phone goes dead, it must be like being left in limbo. All that can be done is to wait for the crews pre-alert to come in to be passed onto the A&E department so that they can find out what has actually happened, and if it was as bad as it appeared to be. If I am in a situation like this, I try to give control a ring after the job and let them know what happened on scene. After all, we are all working for the same goal and even though there will always be a bit of divide between Ops and Control, we should support each other when ever we can. As for the staff involved, both LAS operational staff and the control staff who dealt with the call and the crews, I hope that this job will move into the memories of horrible jobs gone by as soon as possible.